The Greater Salem Artists association will be holding their annual Spring Fling art show and sale on Saturday, April 20th from 10:AM TO 4:00 PM, at the Woodbury School in Salem NH. Stop by and see the wonderful art work this group produces. I will be painting and displaying my work in the “Judging Room” ajacent to the main room. Hope to see you there. 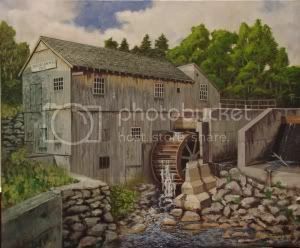 This entry was posted in Events and tagged art show, Salem New Hampshire. Bookmark the permalink.